Alessandro Maestri was the first Italian-born pitcher signed by Major League Baseball in 2006.
and as good as it could ever be. The setting was perfect under a pleasant 71 degree warm Arizona sun for Maestri to take over for Cubs starter Carlos Zambrano and Luis Vizcaino in the fifth inning. Little did Maestri know that he would come face-to-face with some of Major League Baseball’s most feared hitters. His first strike out victim was Orlando Cabrera, who was caught looking at a fastball on the outside corner. Next up with slugger Jason Giambi, who managed to squeak out a single through the hole. Following was Matt Holliday, nicknamed “Big Daddy” for his towering six-foot-four stature and his muscular physique. Maestri dug down deep and mesmerized the intimidating Major League All-Star with a called third strike slider for out number two. The selective Eric Chavez worked the count full before swinging and faltering to Maestri’s wicked slider in the dirt for his third strikeout. Upon returning to the dugout, legendary Cubs skipper Lou Pinella congratulated the young Italian hurler. As as starter and relief pitcher in the Chicago Cubs minor league system for five seasons, Maestri racked up a 24-17 record with a 3.75 ERA and 19 saves. A two-time minor league All-Star, the right hand throwing pitcher put away hitters with his evasive slider–which was once voted as the best slider thrown by anyone in the entire organization. 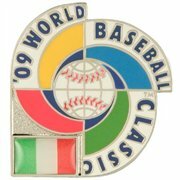 Representing his native Italy in the 2006 and 2009 World Baseball Classic (WBC), Maestri dominated hitters. In the 2009 WBC, Maestri held opponents scoreless in his two plus innings–during which he got Miguel Cabrera to ground out on a fielder’s choice and Magglio Ordonez to strike out. Since joining the Brisbane Bandits in the Australian Baseball League (ABL) this month, Maestri has been brilliant. In his first two ABL victories against the Canberra Calvary and the Sydney Blue Sox, he threw over 10 innings of scoreless ball and struck out 11. Add to that total another 8 K’s he put down on his most recent indecision versus the Melbourne Aces on November 18th, and Maestri has tallied 19 strike outs in just over 17 innings pitched. With the ABL’s fifth lowest ERA (1.56), the five-foot-eleven Italian has dished out almost nothing but zeros across the box scores. Look for Maestri to battle teammate Yohei Yanagawa–Japan’s 2011 Nippon Professional Baseball League Champion Fukuoka Southbank Hawks reliever, who has struck out 20 as a Bandits starter in over 16 innings–and Canberra Cavalry’s Michael McGuire–a six-foot-seven, 240 pound 2008 First-Year Player Draftee by the Cleveland Indians from the University of Delaware and currently a Philadelphia Phillies minor league starting pitcher, who now leads the ABL with 21 strike outs in 13 plus innings of work–to battle it out until the end for the title of 2011-12 ABL Strike Out King. 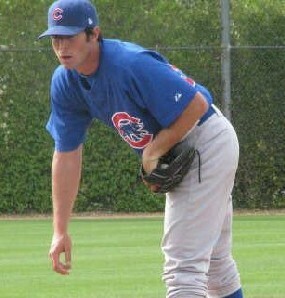 When the ABL season concludes in late January, Alex Maestri is scheduled to head to O’Flallon, Missouri to pitch for the 2010 Frontier League Champion River City Rascals after being acquired in a trade last month with the Lincoln Saltdogs–2009 American Association of Independent Professional Baseball Champions. 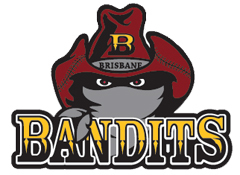 Heralded as the premier Italian born baseball champion of Major League Baseball, Maestri has fast become a favorite in the Australian Baseball League’s appetite for imports as a leader of the Brisbane Bandits. Thanks for reading about my fellow Italian Alessandro Maestri, who I consider to be one of the most underrated pitchers ever to come out of Italy. Please follow me on twitter @ ABLblogger to catch up on the latest action from ‘Down Under’. Like the great Dodger catcher implied in your quote, there is some great talent coming out of Italy these days, and it’s not all about “Bunga Bunga”. Glad to hear that Maestri is playing down under where we understand the Aussie’s are burning up the game and developing future MLB heros. Looking forward to seeing more foreign talent in the game to spice up the league. 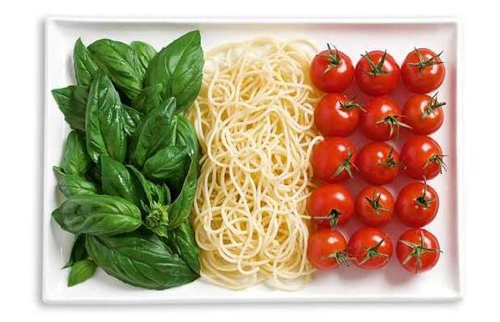 nice to know that the italians are making moves in the baseball world! Good stuff. ABLBBUZZ recently interviewed Alex, the article will be posted in the next 48 hours if you want to learn a bit more about him!